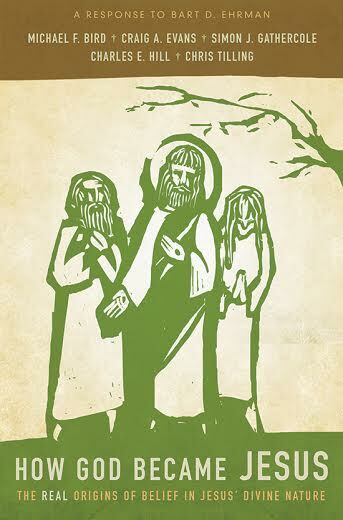 Book Review: “How God Became Jesus” edited by Michael Bird | J.W. Wartick -"Always Have a Reason"
« “Husband of One Wife” – What does this mean? Hiya J.W., As always, good article. Valuable stuff. You mixed up the book titles at the end of your blog post. Thanks! I’ll fix it when I get back. I read “How Jesus Became God” and the refutation, “How God Became Jesus.” Both books explained how almost all Christologies – high and low – were around very early on, and how these Christologies were chronologically *eliminated,* from low to high, as the nascent church built its orthodoxy. My comments, and these go to both books, are: 1) they assume that Jesus’s ministry was apocalyptic, when Crossan and others make a good case that Jesus’s ministry was sapiential – that is, present here now and attainable through good deeds and adhering to the law, and 2) that the Pauline epistles are the earliest source writings – when the Epistle of James the Just arguably pre-dates them. The failure to fully address James the Just is a gaping hole in the current scholarship on the historical Jesus. For further discussion of these comments, and a thorough review of both books, please check out my Reader’s Guide to Bart Ehrman’s How Jesus Became God.